Excelsior Youth Center in Spokane's Indian Trail neighborhood. For at least the past eight months, water has dripped from a leaky roof at Spokane's Excelsior Youth Center into several strategically placed buckets. Thanks to a $217,000 grant through the city's Community Development Block Grant Program, the youth center that specializes in treating foster kids with mental and behavioral health issues can now fix the leaks. "Our proposal aimed to improve the quality of life for our residents who are abused and neglected children," Excelsior CEO Andrew Hill says in a prepared statement. "Repairing the damaged and leaking roofs will help protect the environment of engagement, comfort and trust we work hard to build with the youth we serve." 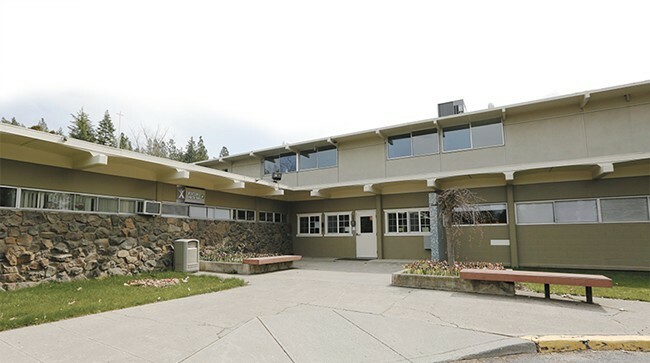 City staff visited the youth center and shelter — which the Inlander wrote about extensively in April — earlier this year to evaluate the extent of the problem, according to a news release from the city. Neighborhood councils then gave Excelsior, located in northwest Spokane's Indian Trail neighborhood, $10,000. The additional $217,000 will enable the shelter to fix the roof completely. Excelsior is the state's largest Behavioral Rehabilitation Services facility. "A primary goal of the [Community Housing and Human Services Department] is to make sure that the most vulnerable in our community have access to safe and stable housing," says Dawn Kinder, director of the CHHS Department, which oversees the block grant funds. "These repairs will ensure that young people receiving services and housing through Excelsior have just that." The city's CHHS department has also been involved in the push for a 24/7 shelter model in Spokane, says city spokeswoman Julie Happy, as well as the 100 Youth 100 Day housing challenge — an effort to find homes for 100 young people between ages 13 and 24. The city exceeded its goal, finding homes for 102 youths by the end of the 100 days. The city's CHHS department has about $3 million in Community Development Block Grant Program funds to give out annually.